Happy New Year, friends! Our family spent the last week of 2016 at "The Most Magical Place On Earth" and it was truly magical! If you're following me on Instagram, I took you with me via photos and frequent Insta Stories. We had an absolute blast! 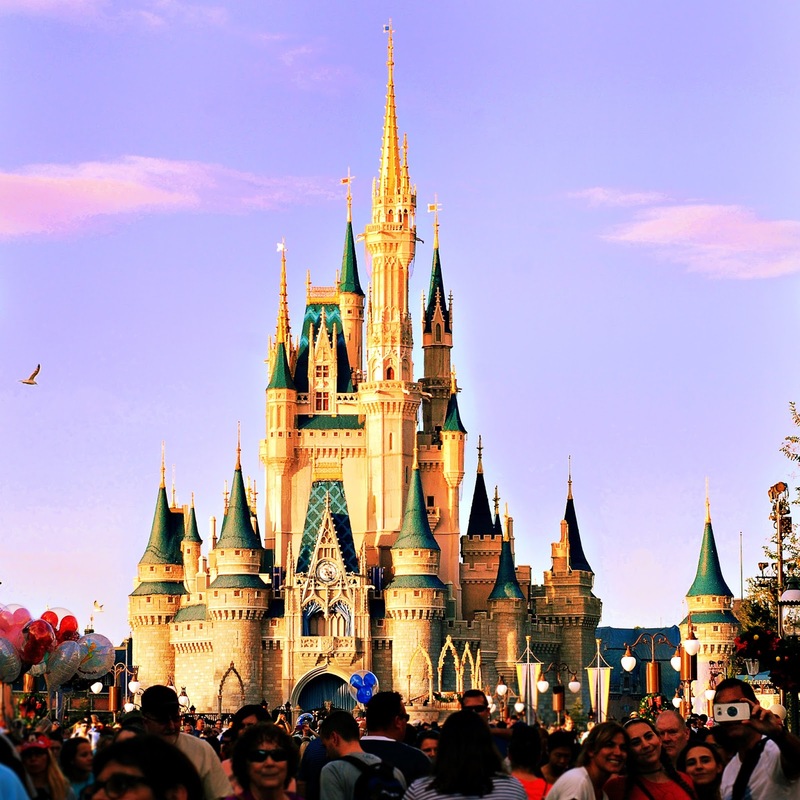 I'm so excited to kick off a Disney series here on the blog. I. Love. Disney! I grew up in Southern California and have been to Disneyland countless times, but this trip to Walt Disney World was my very first. On the days leading up to our trip, I posted asking for outfit help. Last September I took Benjamin to Disneyland and Disney California Adventure. 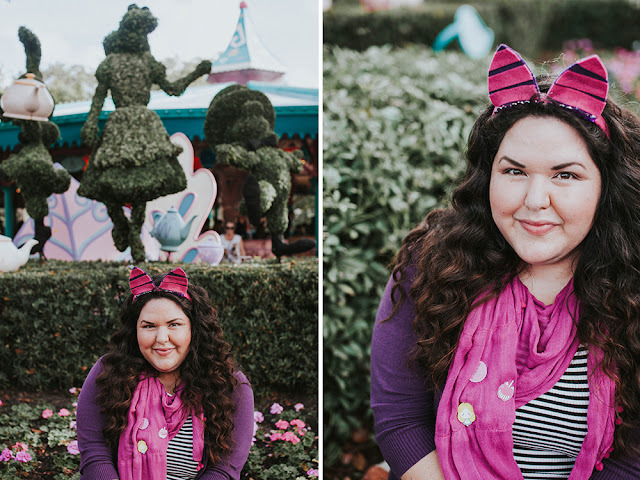 I ended up DisneyBounding as Minnie Mouse without even knowing there was such a thing! Ever since then, I've been hooked! It helps you to get even more into the spirit of things and it's so fun to do with your family and friends! 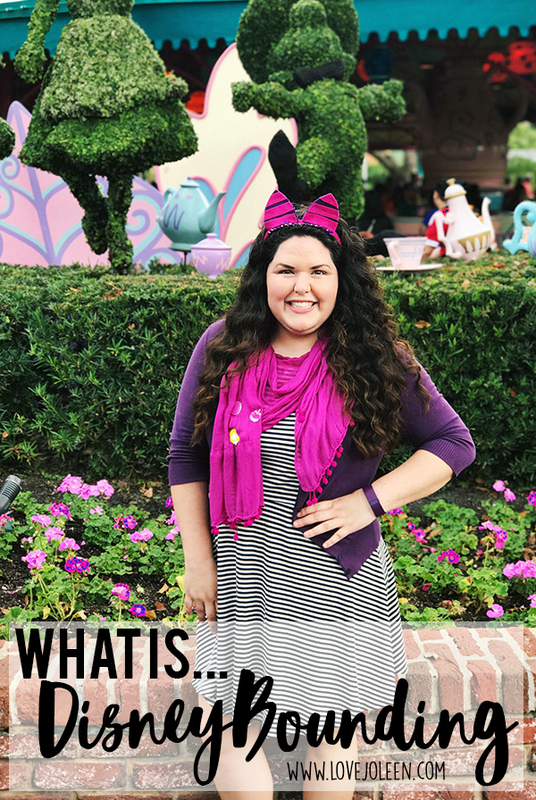 So, what exactly is DisneyBounding? 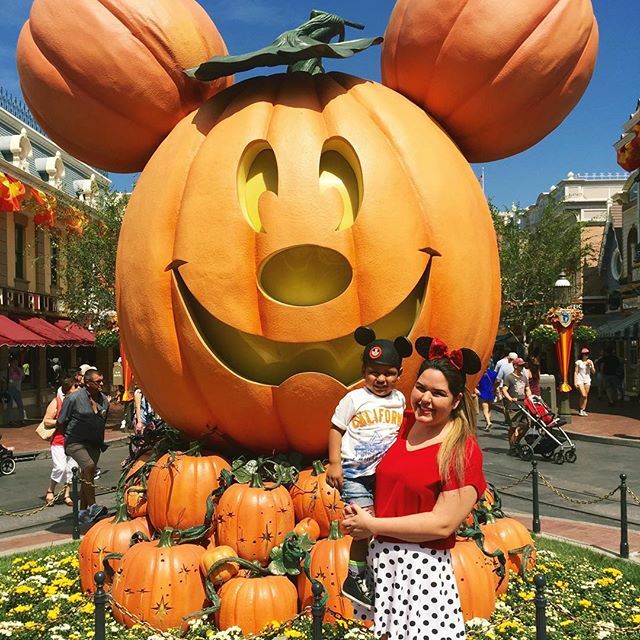 Mickey’s Not So Scary Halloween Party). 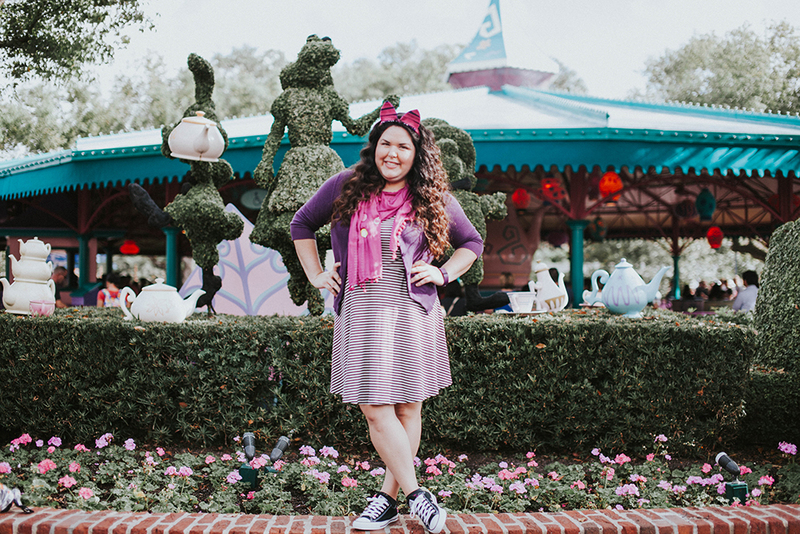 DisneyBounding is not a costume but is when you wear an outfit inspired by a Disney character. The general rule I've seen is that it's an actual outfit you could wear to dinner and still pull off. Of course, you'll want to add accessories because that's where a lot of the fun and identity comes in! There is an entire blog dedicated to sharing DisneyBounding inspiration, by the founder of this idea, Leslie Kay: DisneyBound. This dress was one of the outfits I posted for help about. I knew it would be comfortable to wear to the park but I struggled with which Disney character to represent. Someone suggested the Cheshire Cat from Alice in Wonderland and a lightbulb went off! 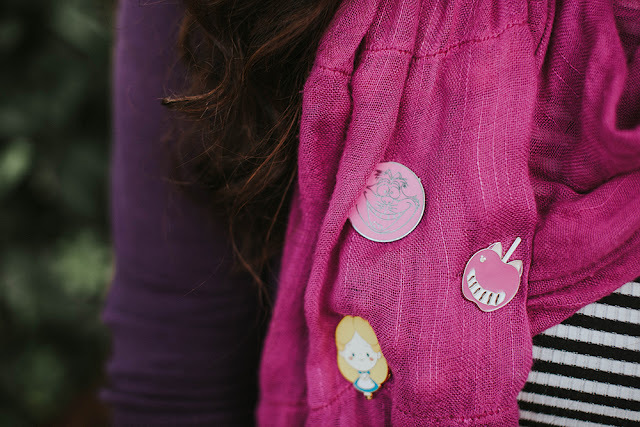 This scarf is my favorite color and between Benjamin and I, we had several Alice in Wonderland pins. 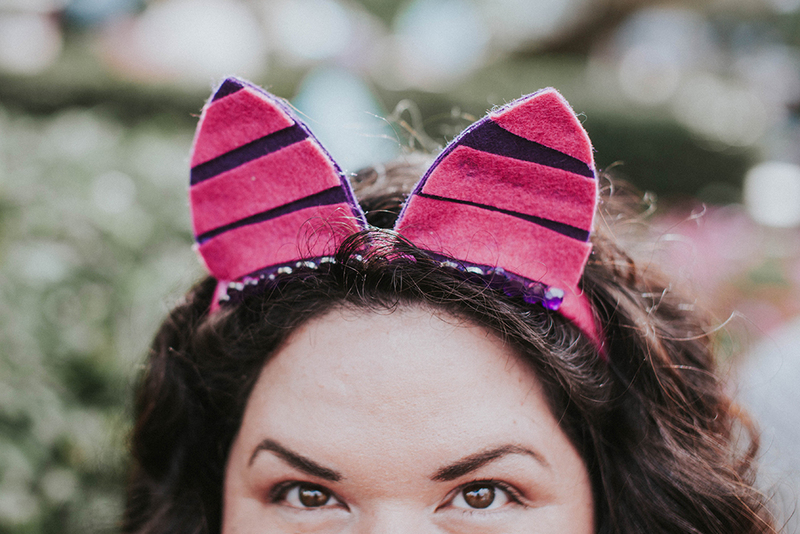 I made these ears out of last year's 2016 NYE handband, felt, rhinestones, and hot glue. 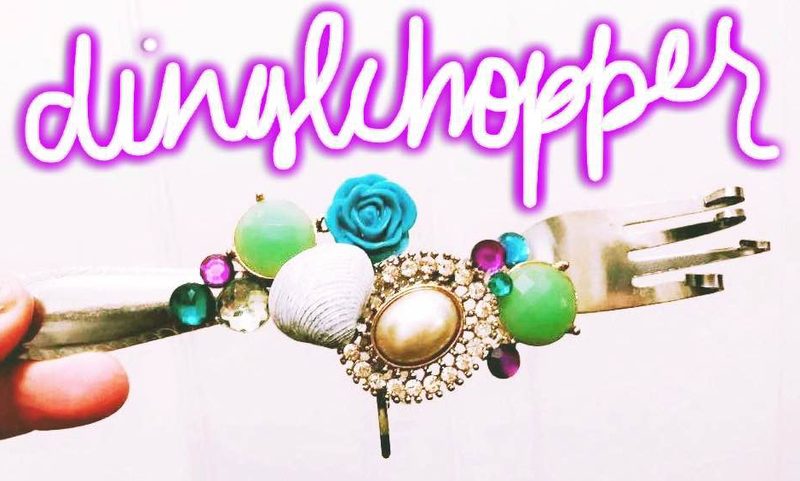 Super easy and the absolute perfect finishing touch! On our second day at Magic Kingdom, we knew we were going to try to meet Peter Pan! Most of you know that Peter Pan was the theme of Benjamin's recent birthday party and so we already had his outfit. He also wore his hat for his official photos with Peter. ;) I used extra ribbon from his party to make a bow and cut a feather out of felt. I attached both to an elastic headband. Easy peasy. We ended up meeting Tinkerbell on the way out of the park that evening, so it was perfect! 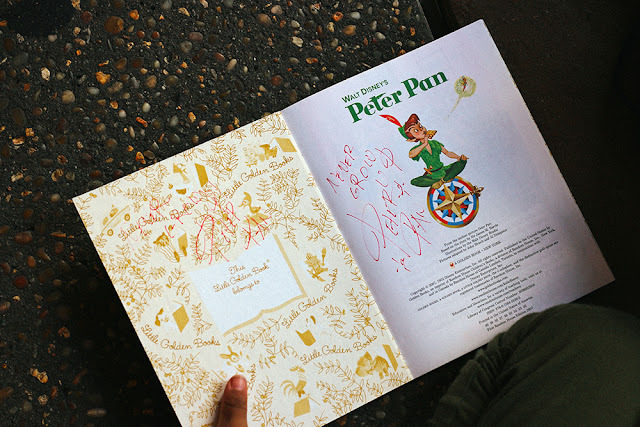 We took along a Peter Pan Little Golden Book, which were the favors at his party, and they both signed it. So fun! I didn't have a chance to DisneyBound as Ariel as I had intended! It was too cold the day we went to Epcot. I did make this Dinglehopper hair piece (I ended up attaching it to a comb) that I can't wait to wear during our next visit! Have you ever DisneyBounded before? What characters have you done? 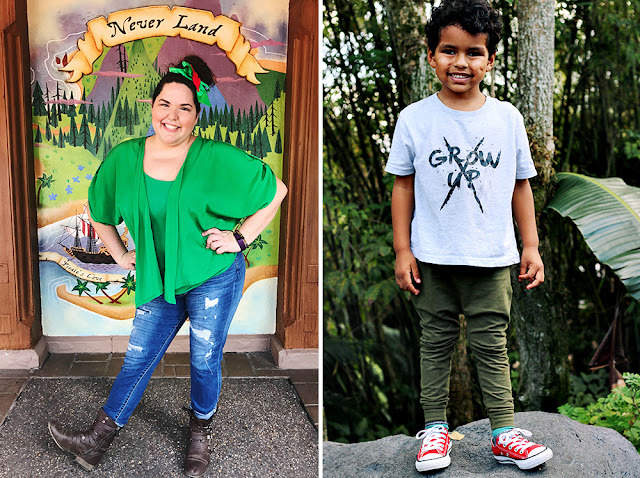 Who is on your list to DisneyBound as on your next visit?